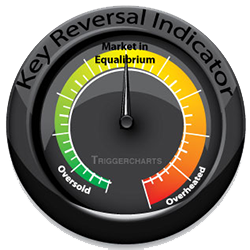 The Key Reversal Indicator (KRI) provides a methodology for indicating when “markets” are overbought or oversold. The algorithm looks at several factors to calculate a specific value that weighs the potential for a reversal. This indicator can be used in conjunction with market timing or trading in order to better understand the trend as well as used to consider/initiate potential contra-trend positioning. When markets become significantly overheated/oversold and cluster formations appear on the chart (indicated by green or red dots above a daily bar) there is a very high probability that a market reversal may occur within 1-3 days. Daily bars are colored based on the intensity of the directional trend. Magenta coloring signifies the extreme/exhaustion points. Traders can use these signals as opportunities to enter a position against the trend, looking to profit from the potential reversal. Investors can benefit by looking to close positions or hedge out risk of a short-term change of trend. In addition determination of the continuation of the current trend. TriggerCharts Key Reversal Indicator combines a workspace with a chart showing the intensity of the trend as well as a historical view of the daily reading. In addition, the KRI gauge is an easy way to get a quick read on levels at a glance and a full explanation of the current level. 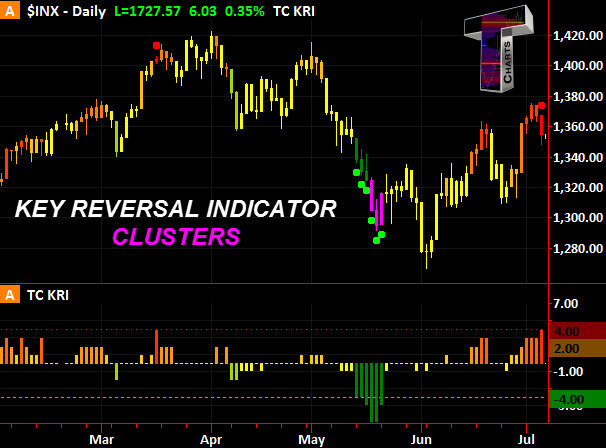 ** IMPORTANT – THE KRI INDICATOR IS SPECIFIC TO THE SYMBOL SPY (S&P 500 ETF) ON A DAILY INTERVAL. 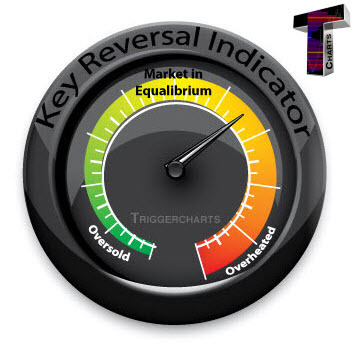 The Key Reversal Indicator (KRI) has a range of -7 to +7 where a -7 is a market severely oversold and a +7 is extremely overheated. 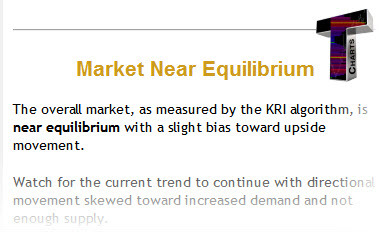 A reading of zero indicates market in equilibrium which generally points to a continuation of the underlying trend. Alerts on conditions approaching overheated and oversold levels are pre-set with voice announcements. Available on the TradeStation Trading AppStore.